The Easter collection makes up an important portion of our annual budget at the Church of St. Francis of Assisi. Our annual operating budget is about $3,300,000. 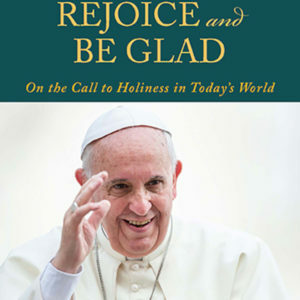 This is what it costs to provide the beautiful liturgies by which we worship God, the programs to teach the Gospel to converts and to Catholics seeking to deepen their knowledge of the faith, to be able to provide access to the sacrament of Reconciliation each day as well as the many daily and weekend Masses we offer. This budget also helps us reach out to the poor and those in need through our Migrant Center, Counseling Center and Spiritual Direction. This all comes with costs for security, utilities and the maintenance of our buildings which are over 100 years old. 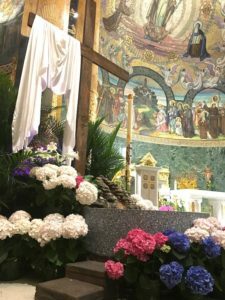 We pay our bills solely through the generosity of our parishioners and visitors who contribute to this important sanctuary in the heart of New York City. You can help by making a special offering for Easter. Thank you and God Bless you at this most sacred time of year. for the sick, will be blessed in the same liturgy and transported carefully to every parish by the beginning of the Triduum. Remember when Noah’s dove returned with the sign of the world’s rebirth? The dove carried an olive branch, a pledgethat God was breathing the world to life again. Yet olives require human nurture. Olives are inedible unless they are cured by human labor. Olive trees grow on sunny slopes, away from the shade of city walls, so they can only be properly tended, cured, and laboriously pressed in peace time. 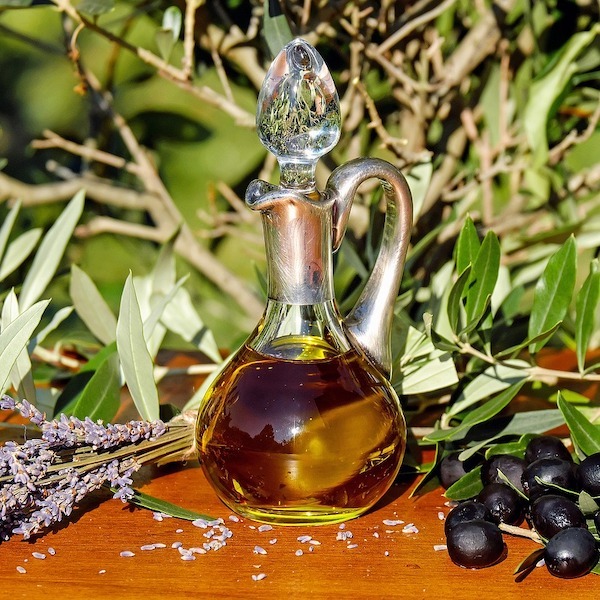 The Chrism Mass with its olive oils expresses God’s deepest desires for us, and our resolve to place our lives in service to God’s saving, healing, loving plan. 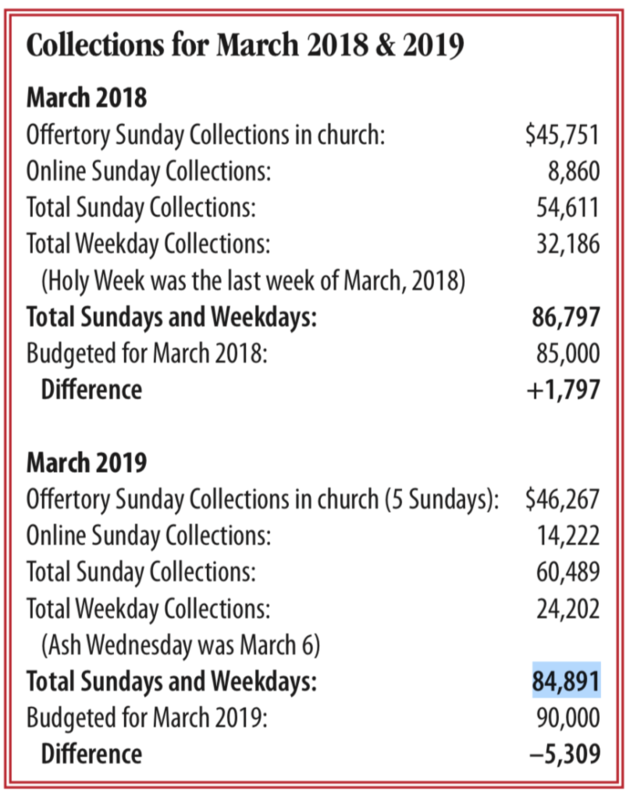 © J. S. Paluch Co.
Below is a table comparing March 2018 collections to our current March 2019 collections. We are grateful that our collections are up from last year, but as you can see we still are not reaching our budgeted goal. 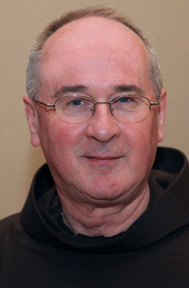 We need everyone to do their part to keep St. Francis on firm financial ground. 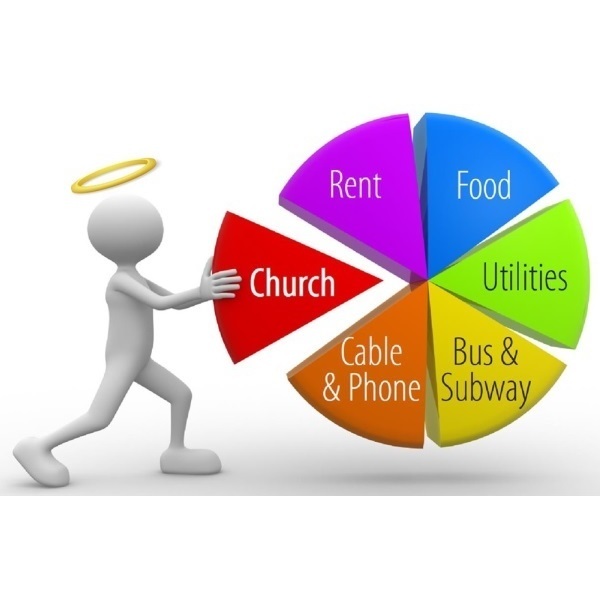 The best way to use this is to make your offering using our online giving system. You can sign up for online giving HERE. Thank you to all of you who are already doing your part. Holy Week begins today with Palm Sunday of the Passion. It has this double name because the beginning of Mass commemorates Jesus triumphal entry into Jerusalem. We hear the Gospel of His entry into Jerusalem and we join the crowds by carrying palm branches and singing “Hosanna” as the procession moves through the church. The tone of the celebration changes quickly with the assigned readings for Mass and the proclamation of the Passion of the Lord from the Gospel of Luke. 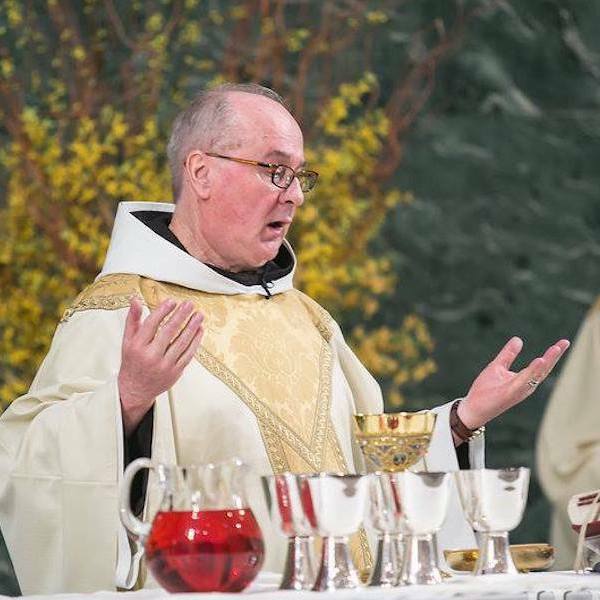 This Tuesday at St. Patrick’s Cathedral, Cardinal Dolan will preside at the Chrism Mass. This Mass includes the recommitment of priests to their ministry and the blessing of the oil of the sick, the oil of the catechumens and the consecration of sacred chrism. This chrism will be used at the Easter Vigil to anoint our newly baptized and for the confirmation of our candidates. The Chrism Mass is open to the public and begins at 4:00 PM. 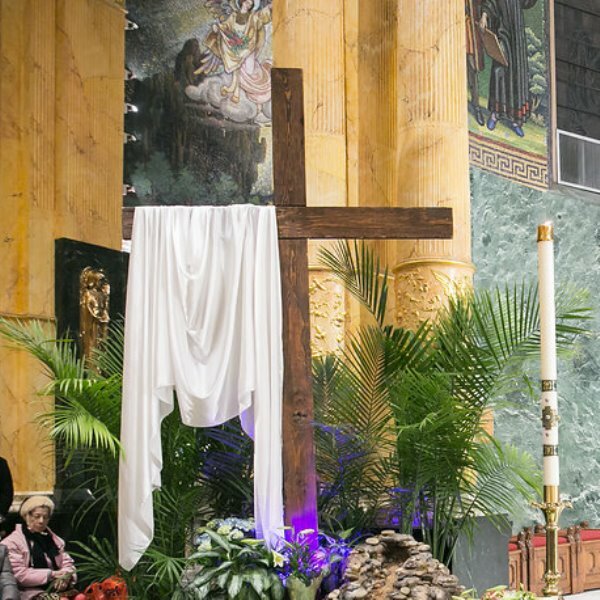 Look over our schedule for confessions throughout the week and the times for Masses on Holy Thursday, the Services on Good Friday, the Easter Vigil and Easter Sunday Masses. It is a busy week and if you plan on going to confession, go early in the week – there will be extra confessors available. 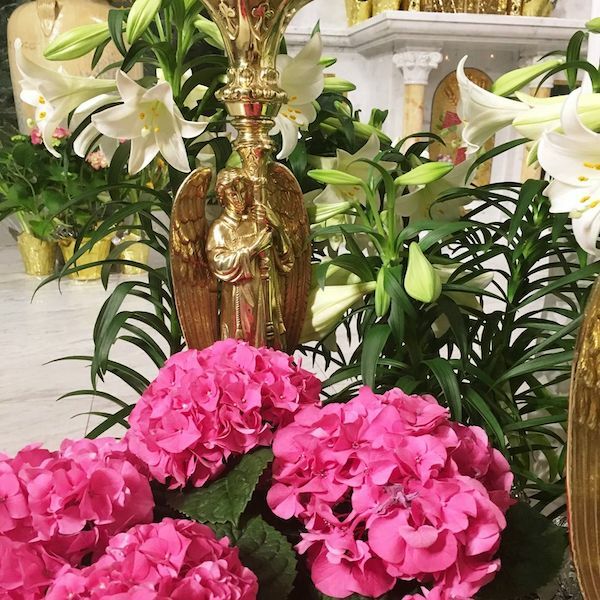 The flowers and plants that will decorate our church at Easter are a sign of our joy in the Resurrection of Christ and our hope in the resurrection of those who have gone before us. We invite you to remember deceased members of your family and friends with a donation for our Easter decorations. Please fill out this form and return it with your offering to the reception desk. The names of those received by Friday, April 12 will be included in the Easter bulletin of April 21. You can also offer an Easter Flower Memorial donations online HERE. Here I think of St. Thomas (Aquinas), who asked which actions of ours are noblest, which external works best show our love for God. Thomas answered unhesitatingly that they are the works of mercy toward our neighbor even more than our acts of worship. Today’s Gospel is about the woman caught in adultery and is about to be stoned to death. It is a tense moment – for both the woman and even for Jesus. He bends down and begins writing on the ground. He looks up at the men and says, “Let the one among you who is without sin, be the first to a stone.”They departed one at a time. What did he write on the ground, we all wonder. Jesus changes the tension into a life-giving moment. There is much to be learned from this encounter. How would you have handled it? Jesus is indeed a great teacher, by his insight, by his way of reacting, by his ability to “see through” a situation and bring out the truth. This Friday, April 12, plan on coming to the Encounter Program for an evening of spiritual inspiration and enrichment. There will be music and Sacred Scripture. Tickets are available online and at the Front Desk. It will be the perfect preparation for Holy Week. Many people ask me: “When is the cut off date to register for the 2019 France Pilgrimage and the 2020 Passion Play trip?” We generally have 44 people on a pilgrimage and both are over half filled at this time. When either is filled, that is the cut off date. Brochures are available at the Front Desk and online by e-mailing me. Filling out the registration form, a copy of your passport and a deposit of $500 reserves a place for you on the France Pilgrimage. Filling out the registration form, a copy of your passport and a deposit of $800 reserves a place for you for the Passion Play/Alpine trip. We may think that we give glory to God only by our worship and prayer or simply by following certain ethical norms. It is true that the primacy belongs to our relationship with God, but we cannot forget that the ultimate criterion on which our lives will be judged is what we have done for others. Prayer is most precious, for it nourishes a daily commitment to love. Our worship becomes pleasing to God when we devote ourselves to living generously and allow God’s gift, granted to prayer, to be shown in our concern for our brothers and sisters. Luke’s Gospel for this Sunday is very familiar to us, but one sentence stands out at the beginning: “This man welcomes sinners and eats with them.” This sentence speaks of the way that Jesus moved among the people in the towns and villages where he traveled. His non-judgmental and welcoming approach spoke clearly of the way that He believed God wanted Him to deal with the variety of people that he met along the way. To show what He believed, Jesus then told the parable of the Prodigal Younger Son, or the Generous Father, or the Prodigal Older Son. Each of these individuals had their positive points, but also very evident weak points. Don’t each of us have the same? This is a good parable for us to meditate on during the week. Starting last Sunday and continuing through next Sunday, we will participate in the Scrutinies at the 5:00 PM Mass. 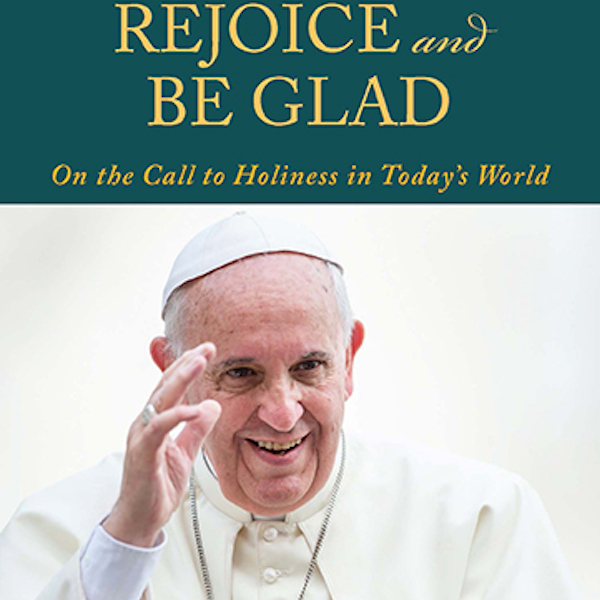 While these are meant for those in the RCIA, it is good for us to enter into the spirit, asking God to remove from us those negative, selfish atti- tudes and habits that we all have. The second reading from today’s Mass says: “Whoever is in Christ is a new creation… And all this is from God.” We want to make ourselves open to that transforming power that will make us “a new creation.” God doesn’t force this on us, but waits for us to want to be open to receive this gift. This gift is meant for you and me. Continue to pray for those preparing to be received into the church at the Easter Vigil.